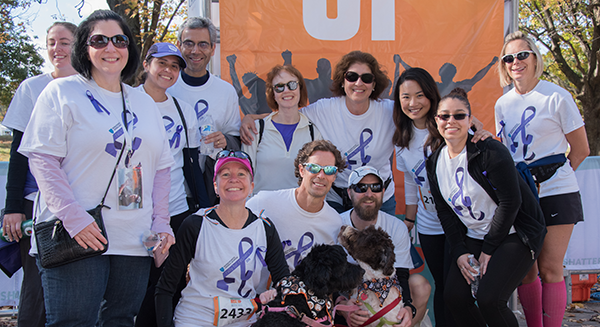 Lead your team to the Shatterproof Rise Up Against Addiction 5K Walk/Run finish line and inspire them to raise funds to end the stigma of addiction. As a Team Captain, you will recruit team members who believe in the Shatterproof mission as much as you do and who will help you reach your fundraising goal. 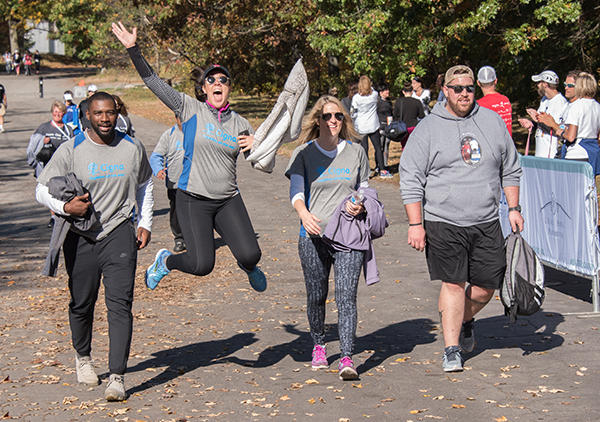 Getting more people involved also means more runners and walkers come together to end the devastation substance use disorder causes for so many families. The key to managing a successful campaign and being a great Team Captain is to have a goal and work together toward achieving it. Come up with a fundraising goal with your teammates and figure out how the team can hit that milestone. Thank you for being a team captain for the Shatterproof Rise Up Against Addiction 5K Walk/Run! Our team leaders are an integral part of the Rise Up movement and we’re thrilled that you’ll help shatter the stigma of addiction. Keep recruiting – Ask family, friends, coworkers, and neighbors to join you for the Shatterproof Rise Up Against Addiction 5K Walk/Run and encourage your team members do the same. The more walkers and runners we have, the more help we can give to families devastated by addiction. Have them register here. Keep fundraising – Encourage your team members to continue raising funds. Tell them to ask everyone they know to support the team by donating to the Shatterproof Rise Up Against Addiction 5K Walk/Run. Here’s a great guide to help with fundraising. Keep the goal in mind – Come up with a fundraising goal with your teammates and figure out ways the team can reach that milestone. Update them often on the team’s progress and congratulate them when they bring in donations. Keep them in the loop – Thoroughly communicate event day information with your team members so that event day is as smooth as possible. Go over logistics (meeting place and time, clothing/color scheme, etc.) days before the event and be ready (and available) to answer your teammates questions. Keep it fun! – The Shatterproof Rise Up Against Addiction 5K Walk/Run is an amazing, inspiring event. Be a cheerleader for your team. Keep them engaged, motivated and excited so that they have a great and memorable experience. Get great fundraising tips here. Ready to be a Team Captain? Select your event and sign up here. Already a Team Captain? Grow your team. Recruit teammates.